These Incredibly detailed 7-inch scale action figures are based of the iconic Wizarding World franchise. Series 1 features Harry, Ron, Hermione, and Voldemort from Harry Potter and the Deathly Hallows Part 2. Each figure comes with a base, character specific background artwork. Each figure has 22 points of articulation with various character specific accessories. 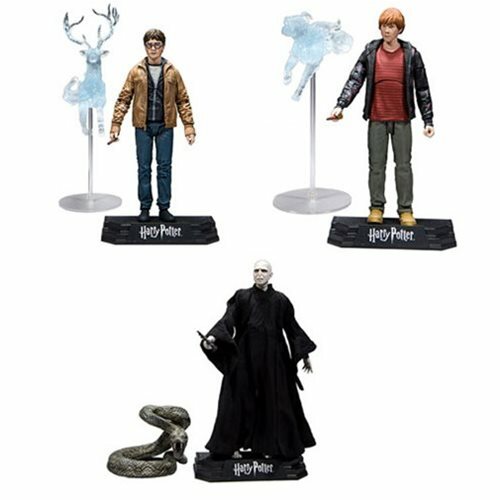 The figures are each showcased in Harry Potter-themed window boxed packaging.